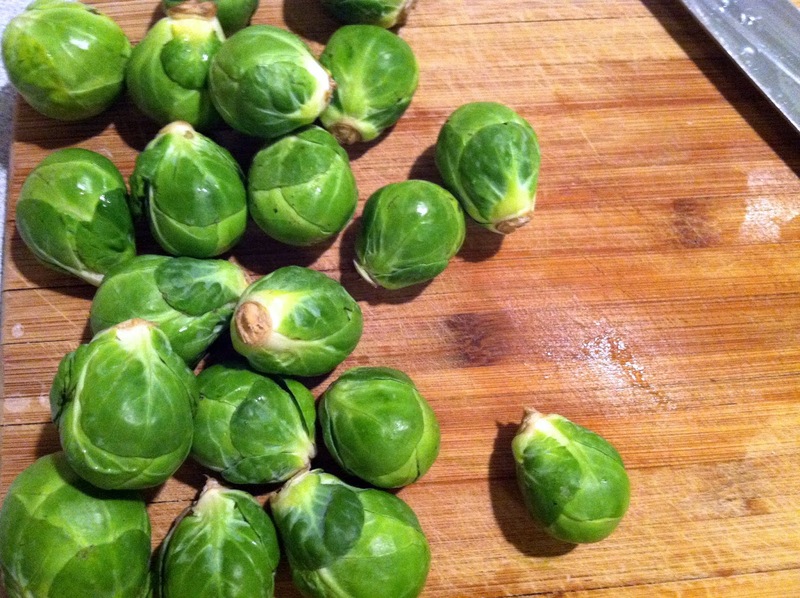 Up until a couple years ago, I hated brussels sprouts with a passion. When I was a kid, my mom tricked me into trying them by telling me they were “little cabbages”, which as the daughter of an Irish dad, I obviously loved. A couple bites, though, were all I needed to realize brussels sprouts don’t taste anything like “little cabbages”, and I avoided them for years after that. But maybe these little guys just needed to be made differently, because now I freakin’ love them. Parmesan-dusted brussels are eaten like candy in our house, and this is one of my favorite salads. The key is to slice everything into really thin strips, so you can use a food processor to simplify this process, or put on a good episode of This American Life and get cutting. This salad seriously tones down the flavor of the red onion by putting the slices in water first, the whole-grain mustard seeds are perfect with the sweetness of the honey-lemon dressing, and the parmesan gives it a nice kick of saltiness. It all comes together for a beautiful, filling, totally delicious side. Oh, brussels sprouts. You guys don’t deserve your bad rep.
1. Using a food processor or a sharp knife, slice the red onion into veeeerrrrry thin strips. Submerge in water while you assemble the rest of the salad to take out that onion-y bite. 2. Trim the brussels, then slice them into super thin strips and put into a large bowl. 3. Make the dressing – combine the lemon, honey, mustard, and kosher salt & pepper, whisk to combine. Add the EVOO and mix everything together. 4. Drain and dry the onions, then add to the brussels. 5. Just before serving, add the dressing and mix everything together. Top with curls of parmesan and enjoy. This entry was posted in brussels sprouts, gluten-free, healthy, paleo, salad, vegetarian on September 19, 2014 by westyn. Ok – I literally did not know there was an “s” at the end of “brussels” until just this minute. That still looks weird to me, but it’ll stay. It fits, though, because much like getting used to the “s” at the end of the word, brussels sprouts themselves also took some getting used to. As a kid, I wasn’t a fan, but as an adult, they’re one of my favorite sides. Roasting them in a pan caramelizes them somewhat, and the light dusting of parm gives them a salty little kick. I swear these are better than candy. 1. Wash and trim the brussels sprouts – peel away a few of the looser outer leaves, trim the stems. Then, cut them in half and toss them in a bowl with a tablespoon of EVOO. 2. Heat the other tablespoon of EVOO in a large skillet over medium heat. 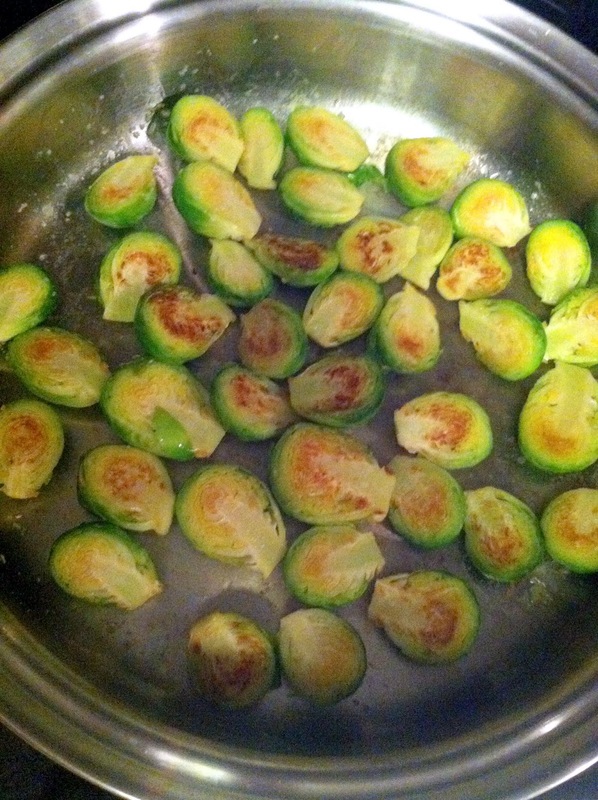 When hot, arrange the brussels cut-side down, sprinkle with some kosher salt, cover, and cook for 5 minutes. 3. 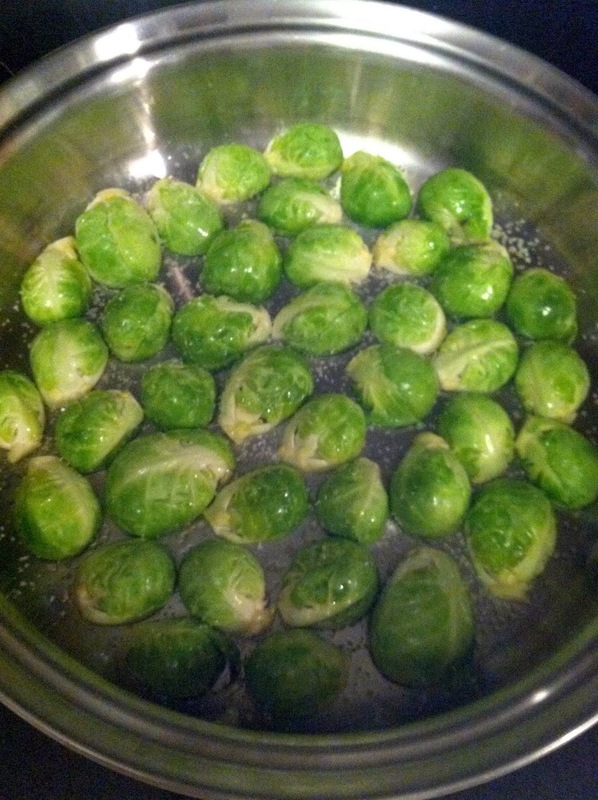 After 5 minutes, uncover, raise heat to medium high, and cook until the brussels are browned and caramelized. Using a spatula, toss them around the skillet a few times to cook the sides and the edges. 4. 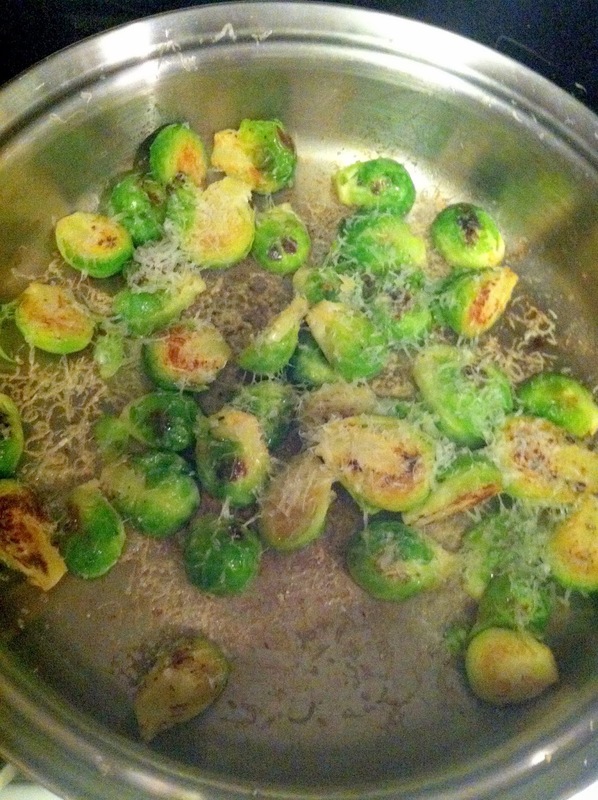 Turn off the heat, then dust the brussels with the parmesan cheese. Serve immediately, and watch your guests become brussels sprouts converts. 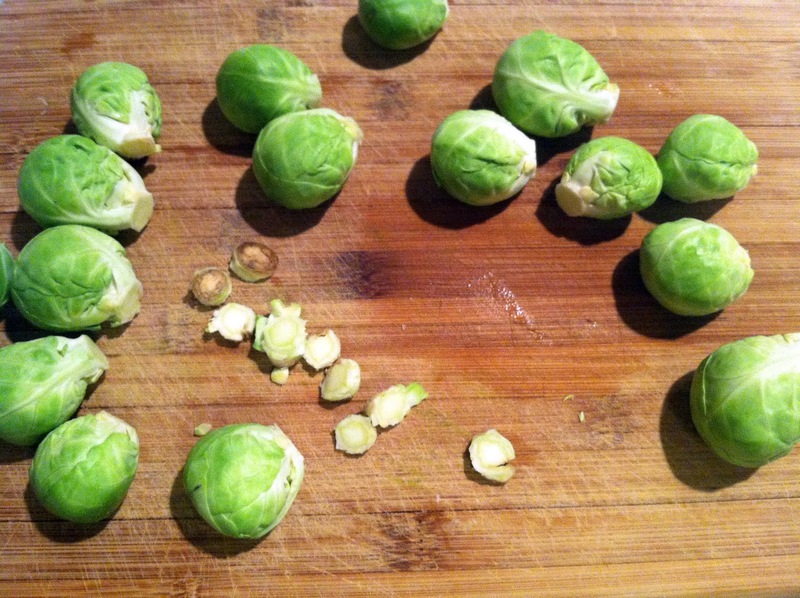 This entry was posted in brussels sprouts, gluten-free, sides, vegetarian, winter on December 30, 2012 by westyn.